Be shellfish. 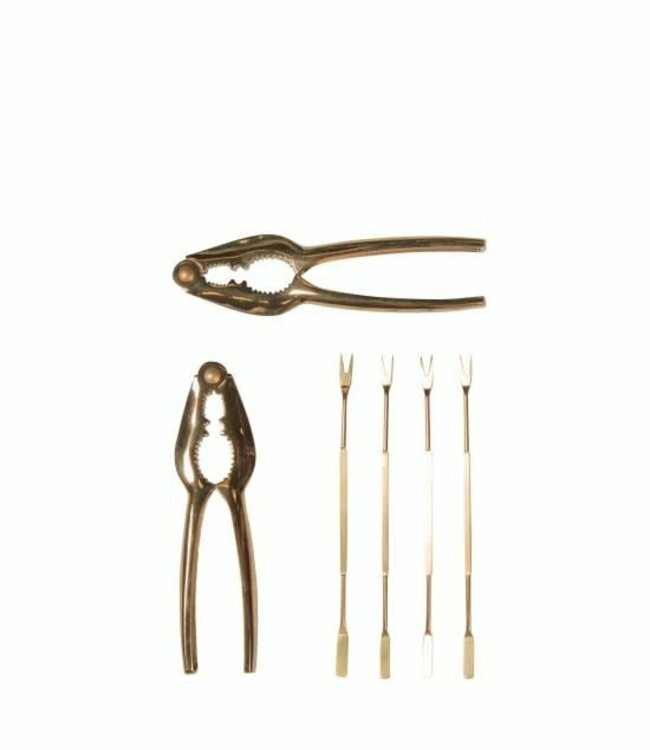 A chic gold dining tool set to elevate your feast. Crab, lobster, langoustine...don't forget the garlic butter and lemon! Cased in a chic black box, two crackers and four forks for reaching every last bit of deliciousness in the shell. Gold color plated stainless steel, hand wash only. Includes the words to a witty traditional Swedish song inside to accompany your feast.